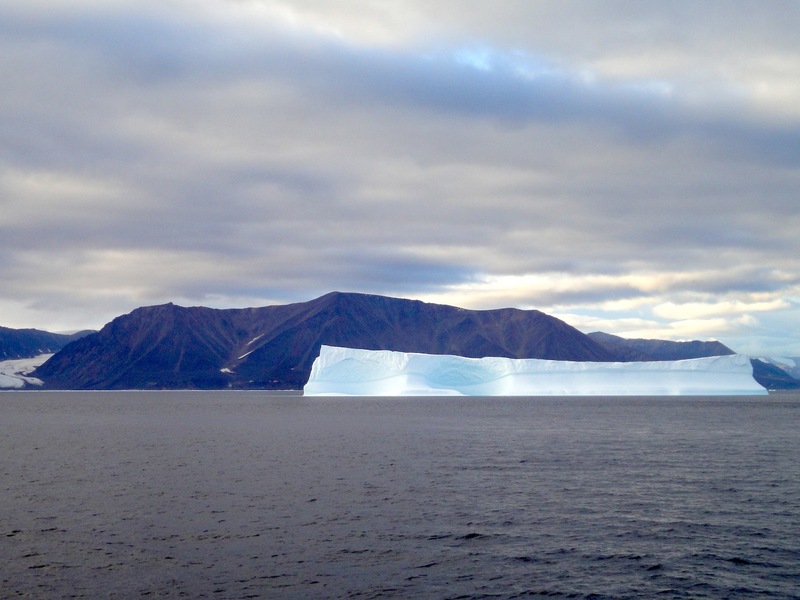 Months later, I went back in Puvirnituq, on my third visit. Since my first visit, I’d become obsessed with learning about the eastern Arctic and returning to Puvirnituq. To cover my expenses, nearly $2,000, then a huge amount, and to help pay for my time, I cobbled together a mass of contract work for the French and English CBC radio networks and several newspapers. It was late afternoon and the kids where I was staying during that 1992 visit were having an after-school snack in the kitchen. They were also listening to the radio, singing and dancing along with the music. 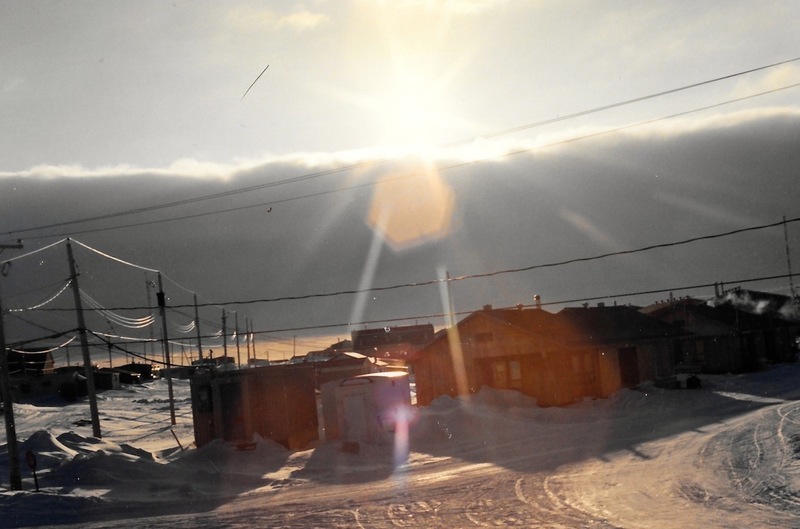 There, as in almost every household in Puvirnituq, the community radio station remained on constantly. In those days before Facebook, everyone used that radio network’s airwaves to discuss what was on their minds, in Inuktitut, and also to play music from Inuit bands and singers. CKPV, the local station, played songs whose Inuktitut words everyone — but me — appeared to know by heart. And these songs were sung by Inuit singers everyone knew. If there had been a top-10 ranking of hits here in 1992, a song called “My boyfriend” would have been number one. Everyone hummed its haunting melody and lyrics. 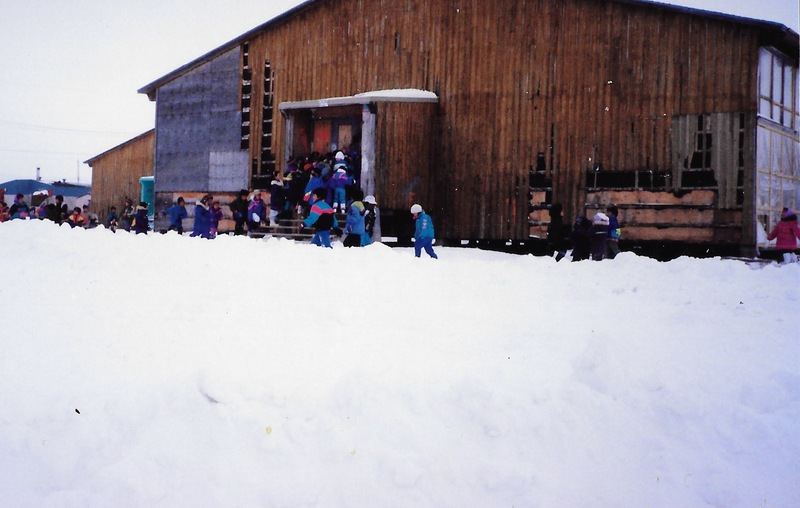 But during that stay in Puvirnituq, in the middle of the night, when the radio had gone off the air, everyone was dreaming, and the snow was falling, I also learned that bad things could happen that no one would learn about until the next morning. One night, someone fired a bullet into the Inuulitsivik Health Centre. The hospital, a silvery-metal spaceship built in 1987, ended up with a hole through one of its thick windows. That’s why Amélie has came to work late. Amélie was a nurse. She’d been up all night because her Inuk sister-in-law, Nora, called her during the early hours of the morning. She said a drunken man with a gun was holding her, another woman and a baby hostage. “She called, she said ‘Come, help, come here now!’ So, I said, ‘who’s speaking?’ She said, ‘Come here now!’ And I was hearing in the back, yelling,” Amélie said later. Her sister-in-law told Amélie where they were. They left on their all-terrain vehicle, passed the house, and the gunman shot at them. “The four-wheeler was doing zig-zags so that he wouldn’t shoot us,” Amélie said. By then, it was 4 a.m. They tried calling the police, but there was no answer. So, Amélie and her boyfriend went to the hotel, knocking on doors until they found a visiting provincial police officer from the Sûreté du Québec. By the time the police arrived, the women, with the baby, had fled. The house was trashed, and the gunman had passed out in a chair. M., the policeman, later told me he was too scared to do anything. That’s why he didn’t answer the phone. In the tiny trailer that served as Puvirnituq’s police station, M. pointed out bullet holes in the curtain. He said he was already traumatized from having to answer calls alone and he’d decided he’d no longer do it. For an entire year, he worked by himself in Puvirnituq, the sole full-time police officer. “I was alone at the time, and most of that time, I was scared. I had nobody to call to, especially in the morning. Nobody to call to. I was alone. That was why I was afraid,” he said, stuttering. Back at the hospital, work went on the next day despite the bullet hole in the window. At the entrance, people shook snow off their parkas and boots and left them there. A reception area stood midway along a circular hallway running around the hospital, which broke off into corridors, like spokes on a wheel. Huge soapstone carvings were on display in cases and appliquéd wall hangings with images of Arctic animals decorated the walls. The chief hospital administrator, Aani Tulugak, sat in her office, looking out the window, down a street lined with houses, all built within the past 15 years, leading to where the village ended and the land took over. She said Puvirnituq’s problems began in the 1960s and 1970s when people first moved near the community and began to enjoy a life with little responsibility. 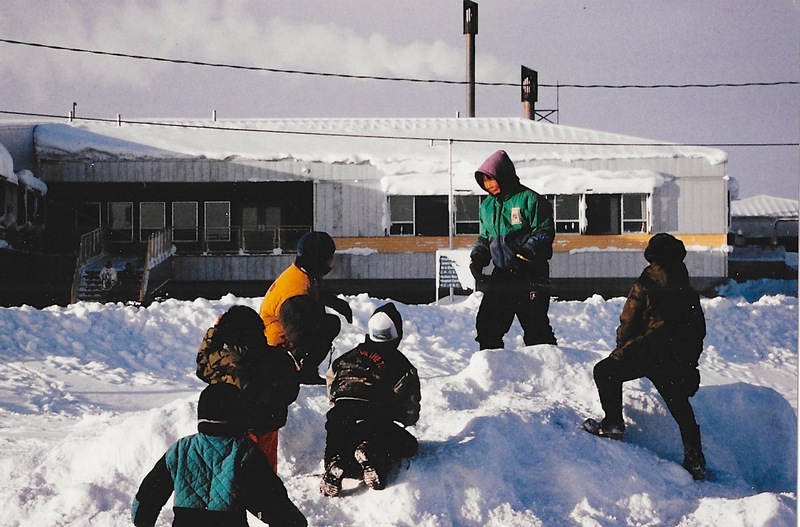 Inuit, who had lived difficult lives on the land, suddenly were freed from the daily struggle to survive when government moved in to improve conditions. But those children, who wandered around unattended around the village, are today’s angry adults, she said. Government policies didn’t help. “I mean, they were taking all responsibility from the parents,” Aani said. A community meeting in the school gymnasium was called that evening to discuss the community’s latest violent incident. More than 100 people of every age turned up, women in amautiit parkas and elders wearing sealskin boots who walked with difficulty. The gym was full. One by one, men and women took the microphone in front and talked about the violence. Municipal councillors sat and took notes. All the comments were in Inuktitut, which a bilingual woman helped me understand. Nora, one of the two women who held hostage by the gun-toting man, later told me that she was angry at the police for arriving too late to help. “With their uniforms, they disgust me! Why are they in their uniforms? Who are they? They’re just renting their uniform or they’re getting paid to use the uniform? Do your job. I hate to say it, but this is my community,” she said. Nora said she wasn’t impressed by what people said at the public meeting, either. She said that’s what always happens: People talk about an incident after it happens, then their determination to change things just disappears. She said people pointed fingers at everyone but themselves. “Too much denial. In anything, you have to hit bottom to be able to get back up and say that this is enough. It’s sad to say it, but if we’d hit bottom, there would have been things happening. Things would have changed,” she said. The problem, Nora thinks, is that most people don’t take enough responsibility for themselves. Inuit have to repair the damage in their communities themselves, she said. The next installment of “Like an iceberg” goes live April 7. You can find the first installment from April 2 here.